Will the Doucs loose their home? Chu Mom Ray Gibbons in Danger of Going Extinct! Tigers and Elephants and gibbons, Oh My! Entropika is celebrating its 10th anniversary: Thanks IPPL – for your long term support! A Safe Way to Drive Away Monkeys! A Happy Ending for Austrian Lab Chimps! Better Conditions for Lab Monkeys: Their Turn at Last? Help Make Mauritius a Monkey Paradise again! 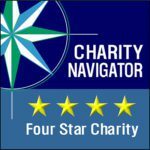 From the Ebola zone: IPPL’s Donors to the Rescue! Thank you to everyone who is helping in a time of crisis! 2013 U.S. Primate Imports: A Worrying Uptick? After Rita: A Letter from C.A.R.E. Help Keep the Chimp Orphans Safe! Encourage the New Malaysian Environment Minister to be Kind to Monkeys! Colombia Bans the Night Monkey Trade! Save the Monkeys of Mauritius! It’s Pumpkinfest at the IPPL Sanctuary!  IPPL’s 12th Biennial Meeting: Your Passport to Primate Protection! Urge the U.S. to Investigate Monkey Imports! Calling Would-be Primatologists: Summer Camp in Sabah! IPPL News Teaches: Humans Are Animals, Too! Meet IPPL’s Peppy: The Gibbon Who Got Away! Meet Rosie, the Newest IPPL Gibbon! Help us Build More Colobridges! Helping Chimpanzees Climb Trees: IPPL Sees the Dream One Step Closer! Exposing Primate Abuses in the U.S.
Primate Enrichment: As Easy As One-Two-Bamboo!